AmorePacific (US) - Receive a 3 piece TIME RESPONSE Timeless Trio with any $250 purchase (ends 12/1). Receive a complimentary sample of the new Vintage Single Extract Essence with every purchase! Free shipping and two complementary AmorePacific essentials deluxe samples with every order. BB Cosmetic - Sales can be found on this page (ends 12/01). Use code: BBDREAMSTOCREATIONS for additional 8% off all orders. Beautibi - Save $5 on all orders $25+ with code YAY, $10 on all orders $50+ with code WOOWOO, $25 on all orders $100+ with code WEEWOO, or $50 on all orders $200+ with code YAASS! (ends 11/27) New members, sign up via this link to get $5 off your first purchase. Beautius - Save up to 70%! Extra 10% off on orders over $100 with code: BF10 ends 11/28. New members can sign up via this link to receive a 5% off code. Birchbox - Spend $30+ get 10% off, spend $50+ get 15% off, or spend $75+ get 25% off. ACES: spend $30+ get 25% off. Annual subscriptions now just $99 with code: BESTYEAR99. Bloomingdale's - Take 25% off a large selection of items plus free shipping (ends 11/27). 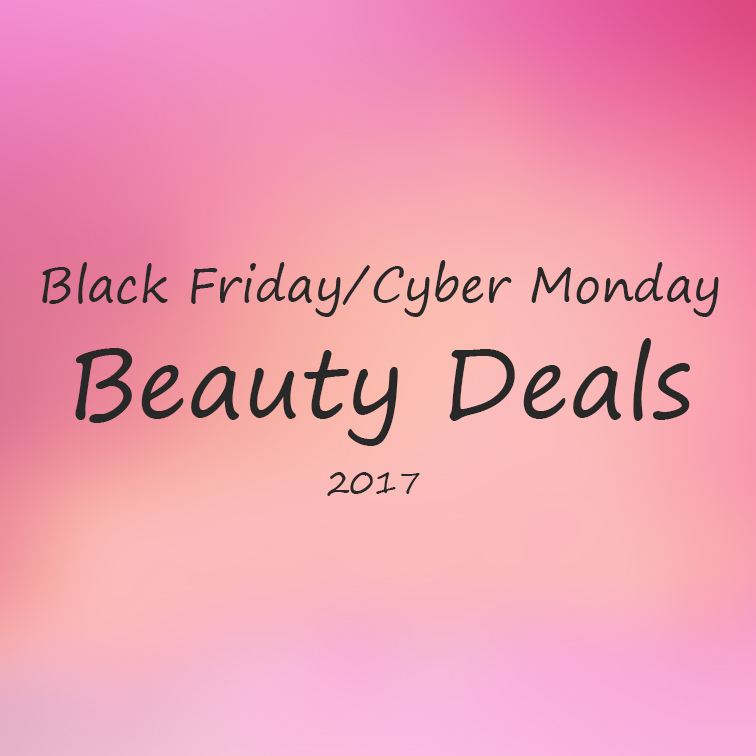 10% off almost all online beauty purchases (11/27). Thanksgiving day online only, take 15% off when you spend $150+, 20% off when you spend $300+, or 25% off when you spend $400+ on a large selection of items plus free shipping (ends 11/23). Black Friday Deals: 15% off when you spend $100+ or 20% off when you spend $200+ on a large selection of items plus free shipping (ends 11/25). Chuusi (Canada) - Take 20% off your entire purchase with code BF2017 (ends 11/27). Cosme-De - Up to 25% off site wide (ends 11/26). Plus, more savings on select brands. Cosmetic Love - Save up to 60% off plus an additional 10% off with code: BLACKFRIDAY2017 (ends 11/26). New members save 10% on their first purchase. e.l.f. - 50% off site wide with code CELEBRATE on orders $30+ (ends 11/27). Plus free shipping on orders over $25. Foreo - Save up to 25% on select devices (ends 11/29 or while supplies last). Glow Recipe - Get 25% off site wide with code: BLACKFRIDAYGLOW (excluding the glow in the know section) deal ends 11/26. New members save 15%. IBBI - Save up to 30%, no code required. Some exclusions may apply. Innisfree (Global) - Up to 50% off select products including skincare, makeup, body care, hair care, and beauty tools (ends 11/30, while supplies last). Free shipping on orders over $60. Innisfree (US) - Free limited edition 3 piece deluxe sample set of Innisfree's skincare favorites with any purchase of $50+. The set includes their Green Tea Serum, Orchid Cream, and Volcanic Clay Mask. Free shipping on orders over $35. Jolse - 25% off all products, no codes necessary (ends 11/30). Receive a VIP travel kit with your $50 purchase (ends 11/26). Leaders (US) - Get 50% off site wide and free gift with purchase with code THANKFUL50 (ends 11/27). Melody Cosme - Get 25% off with code: MORETURKEY ends (11/24). Missha (US) - 40% off site wide, no code necessary. Peach and Lily - Get 30% off site wide with code: PEACHANDLILY30 (ends 11/27). Pink Blossom (Canada) - Get 40% off the following brands: Papa Recipe, SNP, Missha, Mediheal, Dr. G, Swanicoco, and A'Pieu. New members can create an account and receive 500 points, equivalent to$5. Free Shipping on orders over C$59. Roseroseshop - Save up to 60%, no code necessary (ends 11/25). Sephora (US) - Doorbusters $15 and under (11/24). Don't forget to use those sample codes for additional freebies! Sephora (Canada) - Doorbusters C$20 and under (11/24). Don't forget to use sample codes for additional freebies! Shu Uemura (US/Canada) - Save 20% on orders $50+ or 25% on orders $100+ with code SHUBF. Sokoglam - 40% off Missha products with code: MISSHA4U. First time customers save 20% on their first purchase. StyleKorean - Save up to 15% with Pre-Black Friday and Black Friday deals, codes below. Pre-Black Friday (ends 11/23): Save 5% on orders under $100 with code MORE5, save 10% on order $100+ with code MORE10, or save 15% on orders $200+ with code MORE15. Black Friday (ends 11/27): Save 6% on orders under $100 with code BLACK6, save 10% on orders 100+ with code BLACK10, or save 15% on orders over 200+ with code BLACK15. StyleNanda - Save 30% to 80% on a variety of products including their beauty and fashion lines (ends 11/27). Sulwhasoo - Receive a 5 piece Time Treasure Trail Kit with your purchase of $250+ (while supplies last). Free shipping with every order. 40% off site wide (ends 11/25). The Lotus (US) - 40% off with code: THANKYOU2017 (ends 11/27). Free shipping on orders over $50. 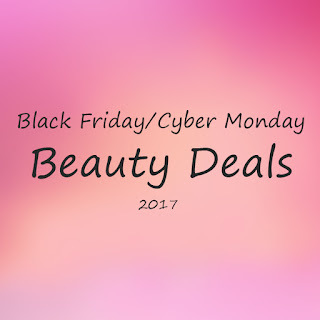 Ulta - Black Friday Beauty Busters (in store and online) plus thanksgiving sales on select products. Free shipping on orders over $35. Cyber Monday codes stack too! Additional savings: Save an additional 3% off orders over $139 with code 2017BF139, an additional 5% off orders over $169 with code 2017BF169, or an additional 8% off orders over $219 with code 2017BF219. Free gift bundles with purchase: Use code: BFGIFT99 on orders over $99 to receive 2 packs of Wishtrend Cotton Pads plus the Klairs sample set, Wishtrend Vitamin 75 Cream sample, and Skinmiso Pore Corset sample. Use code: BFGIFT169 on orders over $169 to receive 5 travel size Klairs Supple Preparation Toner, plus everything in the BFGIFT99 bundle. 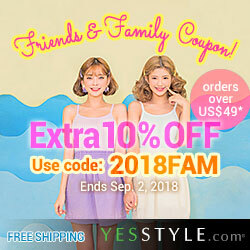 Yesstyle - Up to 80% off site wide. Plus, an additional 15% off purchases over $49 with code: 2017CYBER (ends 11/27) (offer extend til 12/03!) Free shipping worldwide for orders over $35. Up to 80% off site wide. Plus, an additional 15% off purchases over $49 with code: 2017BLACK (ends 11/24). Free shipping worldwide for orders over $35. Yesstyle is also hosting an awesome Black Friday giveaway on their Facebook page. They are giving away an iPhone X and K-Pop CDs, so check that out if you are interested. Disclosure: This post contains some affiliate/referral links. If you choose to use these links, we'll gain a small commission at no cost to you. Thank you in advance if you choose to use them. Your support will help us fund giveaways and keep the site going! You can find our full disclosure statement here.